Photo courtesy National Garden Festival. You’ll get behind-the-scenes tours of some of Buffalo’s finest gardens, from secluded private yards to the city’s Frederick Law Olmsted-designed parks, during these luxury motorcoach tours, which are part of the National Garden Festival in Buffalo. The tours will be led by expert gardeners and include a sit-down lunch. The tours are operated by AAA Western and Central New York’s Horizon Club Tours. There are various pick-up locations for each tour. In addition to these luxury motorcoach tours, the National Garden Festival has also scheduled a bus tour called Beyond Flowers that focuses on the environment. 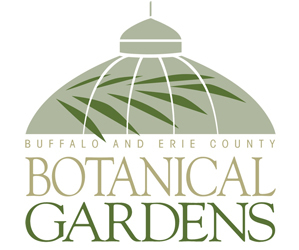 Tour the gardens that have made Buffalo famous, as seen in Fine Gardening and Horticulture magazines, among many others. From Disney-esque Civil War era cottages to grand Victorians, from rare dahlia collections to a funky tropical paradise with tiki bar, get this preview peek at Garden Walk Buffalo. The tour will be guided by Jim Charlier of Garden Walk Buffalo, who is a garden tourism consultant. The cost is $75 per person. Just beyond Buffalo, you’ll find large, much-photographed gardens in Clarence, Amherst and Snyder. Horticultural expert Sally Cunningham and designer Joseph Han will show you grand perennial borders, layered islands and intimate gazebos. The group will have lunch at a poolside retreat at one of the gardens. The cost $72 per person. The New York Times referred to Buffalo as “home to some of the Greatest American architects of the late 19th and early 20th century.” Tour a Frank Lloyd Wright masterpiece and view the master’s other Buffalo homes with expert guide Sandy Starks. Architectural and garden sites will include Forest Lawn Cemetery and its Blue Sky Mausoleum, the newly restored Hotel Lafayette and the Erie Basin Marina Trial Gardens. The cost is $89 per person. Sometimes the home is as tempting as the garden, and this is your chance to tour inside as well. See a century-old house (with the kitchen of your dreams), a Japanese garden with restful water features, an Arts and Crafts home and an art lover’s fantasy home. Luncheon will be in the newly restored Hotel Lafayette with its Art Deco lobby and Pan-American décor. The cost is $75 per person. Check out the agri-business side of gardening, with a visit to a cut-flower farm, a home where alpacas and peacocks roam, a farm market, and the home of a blueberry and organic vegetable grower. Over lunch, Chef Jody from the Organic 3 Café on Elmwood Avenue will share her secrets about using fresh regional produce in your seasonal menu. The cost is $69 per person. If you’ve been there before, you’ll want to return to Smug Creek Gardens, the famous hosta and perennials garden of authors Kathy and Mike Shadrack. The tour includes some new Hamburg gardens that haven’t been seen before on motorcoach tours, lunch at Lockwood’s Greenhouses and a brief “best new plants” talk by garden guru Sally Cunningham. The cost is $69 per person. 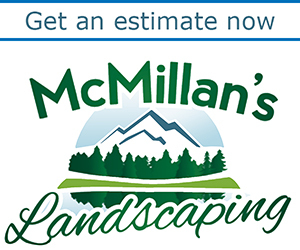 What makes a Buffalo-Style Garden? 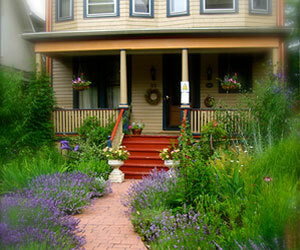 The term refers to our intimate outdoor living spaces, our eclectic and upright design choices, and most of all the unexpected art of all kinds that you’ll see in Buffalo gardens. See the gardens that define this style (before the Garden Walk Buffalo crowds). The cost is $75 per person.